Product #1724 | SKU MF293 | 0.0 (no ratings yet) Thanks for your rating! Manfrotto 293 - Telephoto Lens Support is a support for medium telephoto lens with a secondary safety system. 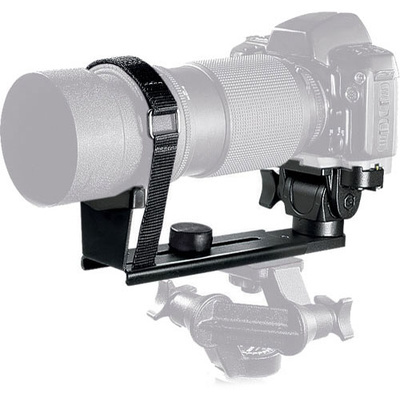 The length of the bracket is adjustable to take different length lenses and different diameters by tilting the Tilt Head 234RC. Length from head to lens support is adjustable from 200 to 295mm. Attachments: 4 x 3/8” female and 3 x 1/4” female.